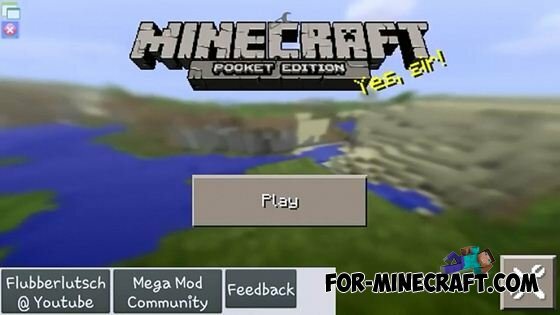 "Mega mod" - is an amazing mod for Minecraft Pocket Edition, adds a menu of modifications. 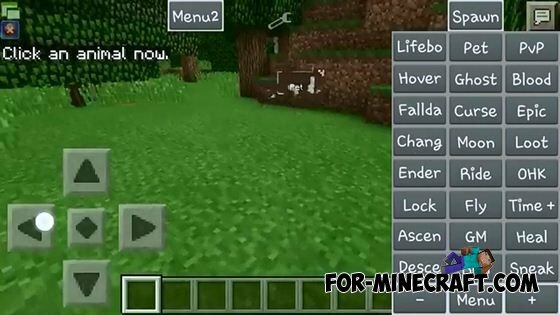 Mod has many new features to Minecraft. You will be able to tame a variety of animals, set fire to things, walk on water, accelerate, and steal, and that's not all! "Mega mod" allows you to do almost everything: to fly in the survival mode, even on servers, disable damage from falling, objects spawn and manage, save and restart the position, and much more! To get a list of commands, use the command / mega). In addition, mod has auto-update mechanism.